Ranthambore| The two newborn tiger cubs were spotted with their mother,Arrow-Head aka T-84 in Ranthambore National Park, situated in Sawai Madhopur district of Rajasthan. 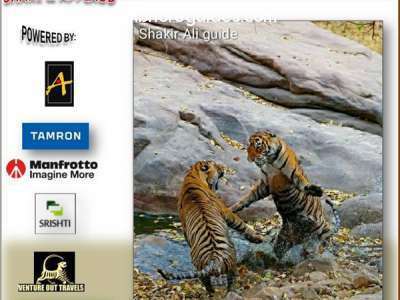 Today in the evening safari, the Queen of Ranthambore, Arrow-Head was spotted with her two small cubs in zone no. 2.The tigress, T-84 was sighted with her 2 cubs at Badi Chhtariarea while she was sitting with her the new born baby. It is the second litter of Arrow-Head. The new born cubs should be around two or three months old. Arrow-Head aka T-84 is the dominant tigress of Ranthmbore National Park who roams frequently in zone 3,4,5 and some part of zone no.1 and 2 also. 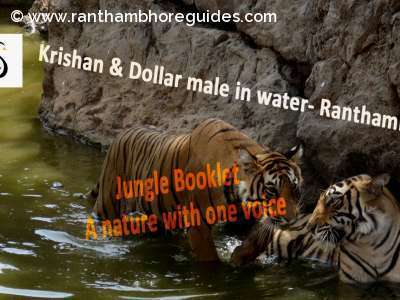 She is queen of Ranthambore National Park because she has occupied best tiger habitat area around 3 lakes in the National Park. She occupied this area from her mother Krishna aka T-19. She is quite young tigress, around five years old. She is from second litter of Krishna (T-19), sighted first time on date 23 March, 2014 while her mother, Krishna was shifting her cubs by holding them in her mouth by her canines one by one. In her second litter, Krishna gave birth 3 cubs, two females' cubs and one male cub. One is called Lighting & other is Packman from this litter. Arrow-Head has succeeded the territory with hard struggle. If everything goes well, the glory of zone 03 will come back again. For last 2 session sightings were low in this zone. 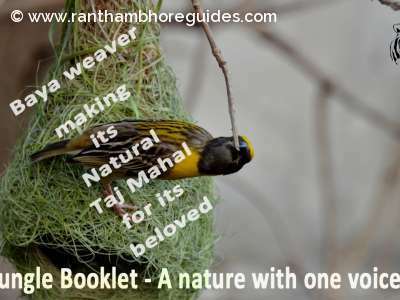 Ranthambore National Park, which at present is home to around 70 plus tigers, was declared as Sawai Madhopur Wildlife Sanctuary in 1955 and in 1973 it was included in Project Tiger 'scheme. It got the status of National Park in 1980.